Self-Portrait 2009, 2012. 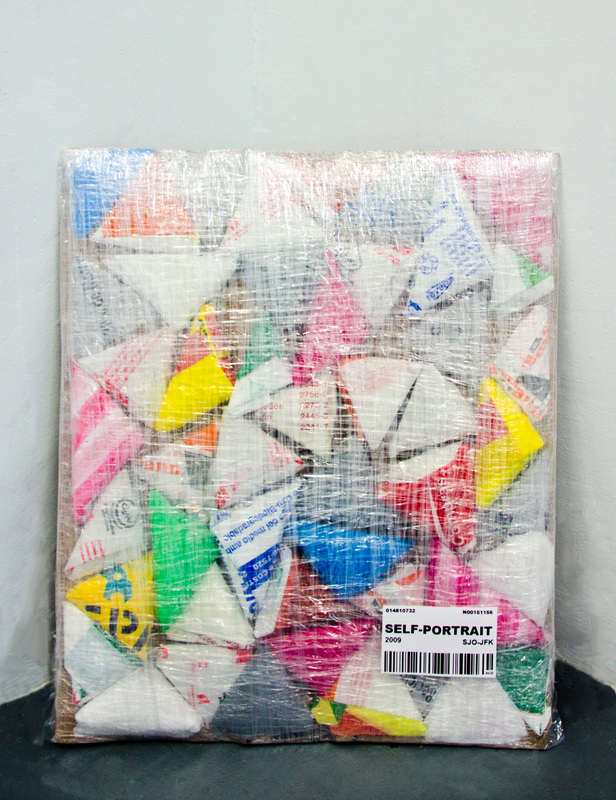 Folded plastic bags on cardboard and wrapped in plastic wrap with self-adhesive label. 18 x 25 inches. Time Square, 2012. 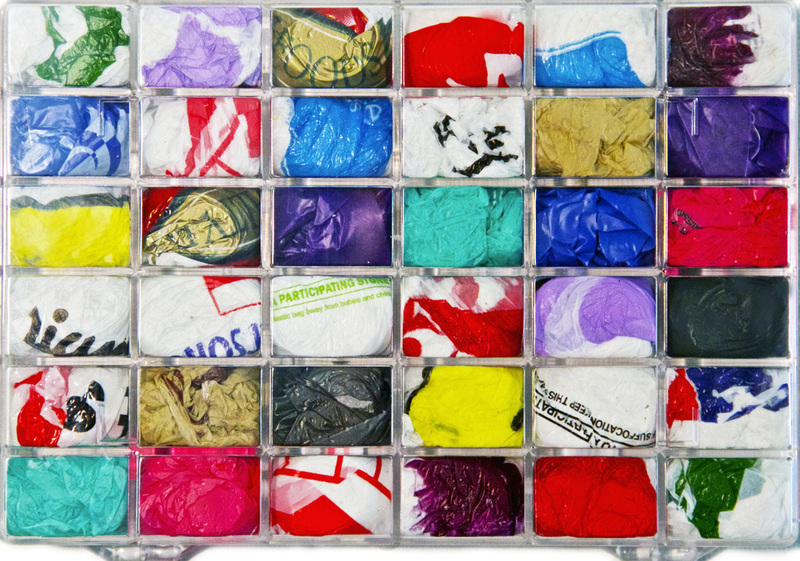 Plastic bags from Times Square businesses inside acrylic cubes. 7 x 7 x 7 inches (each). 27th Street, 2012. 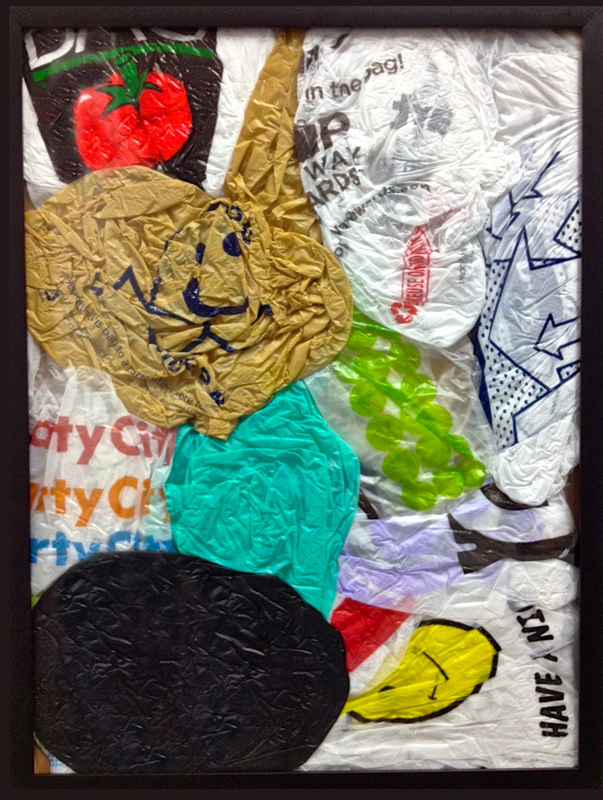 Plastic bags from businesses from 27th Street inside acrylic frame. 18 x 25 inches. Studio, 2012. 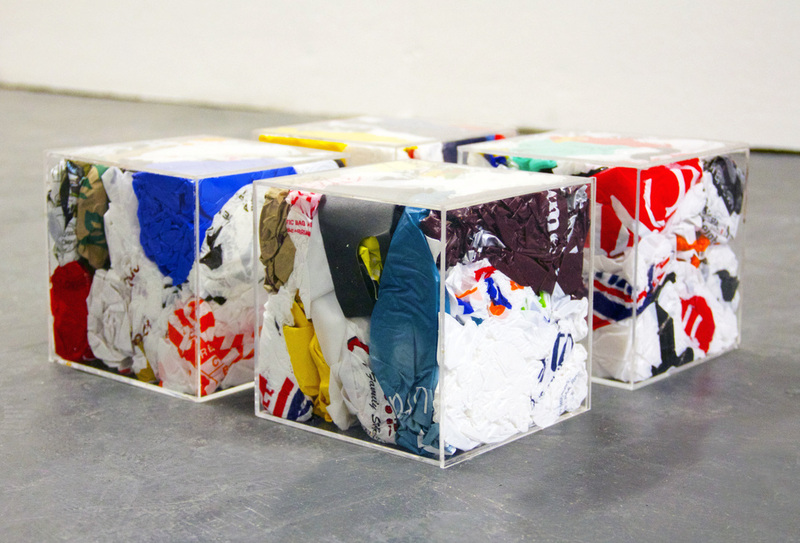 Plastic bags inside acrylic container. 9 x 5 inches. A Painting, 2012. 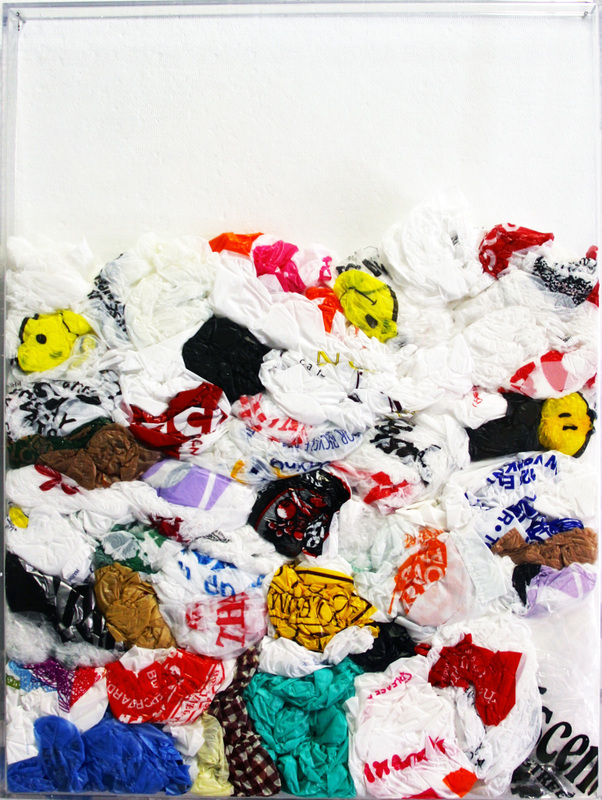 Plastic bags inside frame. 18 x 24 inches. Owned by the JP Morgan Chase Art Collection.